The Internet has been playing a key role to prolifically reach the target market. Simultaneously, the implications of Relationship Marketing (RM) to establish, maintain and enhance competitive advantage in the traditional marketplace are widely recognized. However, because of the online, ongoing, and on time communication approach of the Internet (the market space), the application of RM in the market space evolves as more sensitive than the traditional marketplace. From this context, this chapter attempts to recognize the RM perspectives that are standardized as RM indicators of five grown organizations and have been playing a key role to influence their competitive advantage in the market space. Fifteen RM indicators are attributed from the Internet marketing practices of these organizations that could be utilized to sustainably nurture competitive advantage in the market space. The application of these RM indicators emerges as viable across industries and markets. In general, it is agreed that the marketing mix (Product, Price, Promotion, Place-the 4Ps) approach evolved during the 1950s and 1960s in the mass consumer goods markets of the USA (Little & Marandi, 2003). 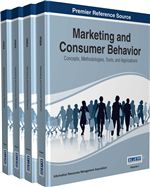 Little and Marandi (2003) added that the architects of marketing theory helped to create the marketing mix or marketing management approach of the contemporary marketing practice as an alternative to the traditional production and sales concepts of transactional marketing, stressing that business success depended on identifying and satisfying customer needs. “In the 1970s and 1980s, a number of writers began to criticize the 4Ps marketing mix approach. The advances in technology combined with further academic research have revealed a number of shortcomings in the traditional marketing mix approach” (Little & Marandi, 2003, p. 11). Various factors have contributed to customers becoming more sophisticated and demanding. These include the considerable increase in competition in consumer markets resulting in increasing choice among customers, coupled with increasing affluence in the last two to three decades. Even when the products offered are satisfactory, customers still exercise their right to go from one seller to another in order to purchase the products they need at a better price, or merely to experience change and variety. Consequently, marketers are having to think of different ways of keeping customers loyal in order to survive and prosper. While some marketers are turning to such tactical devices as loyalty cards, others adopt a more strategic and philosophical approach to gaining customer loyalty through designing genuine RM programmes.